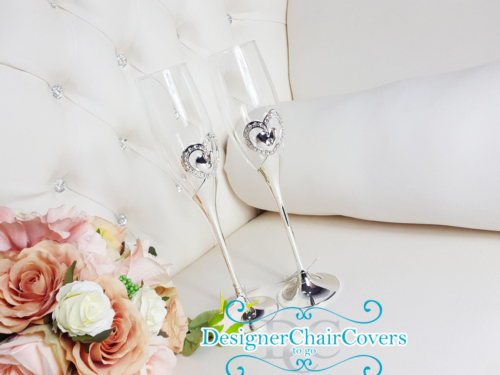 The Polyester Chair Covers are the most popular with brides and event decorators. They are simple but make a dramatic and beautiful difference to any room that need to be transformed. We have a variety of sizes and an ever growing colour range. You can also view the Chairs We Cover section to see if our polyester chair covers will fit your chairs- If in doubt send us an email. 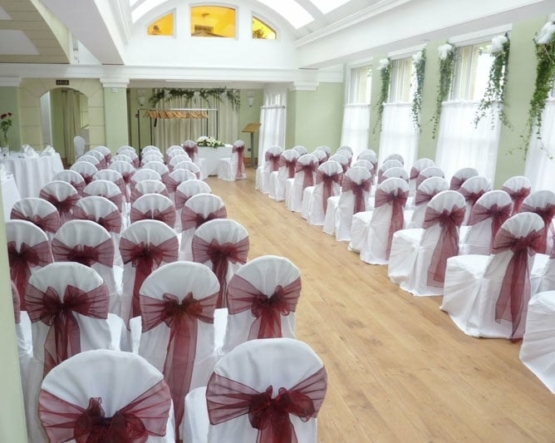 If you hire our chair covers you can get a further discount on our Candelabras. Spandex or stretch chair covers fit the chairs snugly these are the most adaptable chair covers that have the ability to fit almost all chairs. They are a great alternative to the polyester chair covers to hire our stretch chair covers send us an email. If you hire our chair covers you can get a great deal on our centrepieces including our Candelabras Available to hire today. The Large Gold rim table is the perfect way to have the couples table for a wedding reception or ceremony. 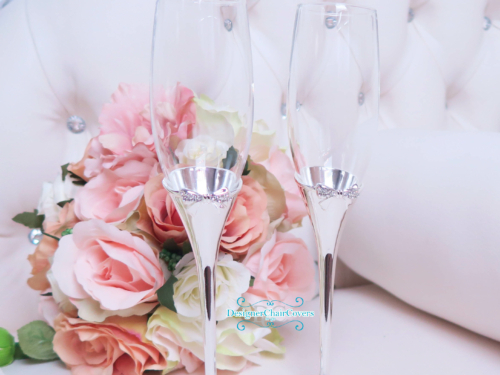 Beautiful and elegant for a sophisticated head table design. Mirrored effect for that extra bit of glam. Luxury Head table- All white and dramatic for the bride that wants something a little different. The Head table can be downsized to a sweetheart table size or taken as a large traditional table. White and elegant with the dramatic tufts. Luxury at its finest. Black chair covers are ideal for weddings that want to have a dramatic first appearance or events for Christmas, Award shows, Ceremonies and more. Our Black chair covers are most ideal with Taffeta sashes for the most eye catching theming and decor. The black chair covers only come in stretch material at the moment so have the amazing ability to fit 99% of armless chairs. The ceremony flower wall is a custom sized backdrop for use at the ceremony. Featured here the wall was used at Braxted Park in the outdoor gazebo. The flower wall can be adjusted and amended to meet your style and colours. The standing candelabras are a dramatic piece with a plethora of uses from the top table or to the aisle as you walk down to meet your partner adding these creates a unique setting. Our standing candelabras are 5ft tall in height and come with large candles for the extra dramatic effect.